That President Goodluck Jonathan is one of the (if not the) most vilified president in Nigeria’s 54 years, is stating the obvious. This to an extent, can be said to be an evidence that our democracy is growing. Citizens are getting more aware of the duties/roles of government and naturally expectations are getting higher daily(I believe the next president will have a tougher time), most importantly the new media has given so many people an opportunity to air their opinions – leading to the emergence of overlords & tin gods; hitherto parlor talks have become matters for public discussions. THE STAKES ARE HIGHER! While this is a welcome development and a sign of growth in our democratic process; what continues to baffle me is the inability of persons to distinguish between hatred and criticism. That a living being who has been in Nigeria since 1999 can say that President Jonathan’s administration has achieved nothing over the last couple of years is undiluted hatred. In this category is an ex president who has openly tried to rubbish all the efforts of President Jonathan and possibly besmirch him in the process, despite his (the ex president’s) several failings – top on the list being his inability (for 8 years) to fix the most important road in his region. This hatred over the person of Jonathan seems to me as chiefly an ethnic and maybe religious issue. The illusioned ‘born to rule’ class are yet to come to terms with the fact that a southerner from a minority tribe is president(and most likely to remain so till 2019) in this ‘their Great Grandfather Uthman Dan Fodio’s estate’. Having failed to prevent the DIVINE change of power in 2010, have resorted to fulfilling their threat of making the country ungovernable combining same with messages of hate being preached in street corners and worship places. These ones can’t come to terms with the reality that someone from the ‘conquered’ south is president. I have my personal wishes, I hope Mr president would grant before May 29 2019. Most of which concern the welfare of his immediate people(The Niger Delta). I would like to see a bridge linking the Yenagoa jetty to Asaka(in Brass LGA of Bayelsa State – one of the areas that contributes to the nations wealth). Others include, implementation of the UNEC report on the Ogoni oil spill, the full take off of both the Brass and Bonny LNG projects,reconstruction of the Calabar section of the Calabar-Itu highway, completion of all sections of the east-west road,completion of the 2nd Niger bridge amongst other wishes. In spite of all the above, I would be exhibiting gross ignorance to say the President has done nothing, not when I was in this country while an ex general who is having difficulty staying in retirement ruled for 8 years. a) The significant improvement in our electoral process is worth celebrating. Today it is possible for persons in relatively unknown parties to dream of winning elections. Compare this to ‘tsunami Obasanjo’ witnessed across the country in 2003. Through Jonathan, Yar’adua’s promise to strengthen the electoral process in 2007 has become a reality. b) Non interference with judicial matters. I lived in this country when it seemed acceptable for the President/Presidency to disobey court orders. Serving ministers were laws unto themselves; one even demolished a judges house despite a restraining court order. 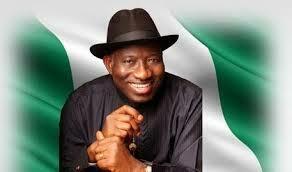 President Jonathan is ensuring that the Judiciary is truly independent,an effort worthy of commendation. c) How about the agricultural revolution which remains a positive step towards the diversification of our economy(this was embarked on long before the global decline in oil prices). Now farmers receive fertilizers directly, eliminating the fraud that once was associated with fertilizer distribution. The rice pyramids are back and in the words of Agriculture minister Akinwumi Adesina, “Nigerians will stop thinking of agriculture just as a means of livelihood, but more as a business”. Nigeria has reduced its food imports by over 40% as of 2013, moving the country closer to self sufficiency in agriculture. d) Under this administration, Nigeria has been opened up to the global business community and is fast becoming Africa’s number one destination for foreign investments. Between January and June this year, a total of US$9.70 billion(N1.51 trillion)flowed into the national economy as foreign direct investments. Proceeds from non oil exports rose to 2.97billion by December 2013, up from 2.3billion in 2010.
e) The YOUWIN program initiated in 2011 has been a blessing to hundreds of unemployed persons who hitherto lacked capital to start their own businesses and has so far created thousands of jobs for others within only 3 years of its launch. f) Prior to this administration, the automotive industry was non existent. Today due to the automotive policy of the federal government, global auto-giants like peugeot,nissan and hyundai either manufacture or assemble all kinds of cars in Nigeria(thus creating jobs for citizens). Nigeria’s flagship indigenous auto-maker Innoson Vehicle Manufacturing Company begun the sale of their made in Nigeria cars in August 2014 – with the support of a president who understands the need to support the growth of local businesses as a means of growing the economy. Alhaji Aliko Dangote has attributed the increase in his monetary worth to the “favourable economic policies of the Goodluck Jonathan administration”. g) Revival of the comatose railway transportation – that was long forgotten in Nigeria. h) The modification of the almajiri system of education in northen Nigeria can only be done by a president who understands the importance of education and its benefits to the individual(in particular) and the society in general. i) Completion and commissioning of the Omotosho 1&2 power generating plants and Geregu power generating plants. j) Under this administration, the whole national transmission grid has been rehabilitated and upgraded – only a myopic mind will downplay the importance of this achievements. With the 2015 elections less than 2 months away, it is expected that those seeking to sell ‘bad products’ will attempt to discredit ALL the achievements of the Jonathan administration. It is okay for individuals to express their biases but making a mockery of oneself for any reason is unacceptable even in politics. Considering the efforts this administration has put into restructuring the nation, it is foolhardy for anyone to say president Jonathan has done NOTHING unless such a person was either born in 2011 or just got out of coma. We haven’t arrived at our destination yet but we are steadily on course. 1) Am I making my choice because he has done nothing at all? 2) Is it because power must return to where it all should reside? 3) Is it because of his religion? 4) Is it because I do not like his face? Because in the end the joke will be on you for taking a stand from an uninformed and myopic perspective. There is no middle ground.